Meanwhile, the political landscape in Europe was undergoing major changes, especially in Germany, where Adolf Hitler (1889–1945) and his Nazi Party began their rise to power. Hitler began stirring up ethnic feelings among the Sudeten Germans, pointing out that their "rightful" ties were with Germany, not Czechoslovakia. By 1935 many Sudeten Germans joined the pro-Nazi Sudeten German Party. Schindler joined, too—not out of any love for the Nazis, but because it made business sense to go along with the prevailing wind. Brecher, Elinor J. True Stories of the List Survivors. New York: Dutton, 1994. Keneally, Thomas. Schindler's List. New York: Simon & Schuster, 1982. Roberts, Jack L. Oskar Schindler. San Diego: Lucent Books, 1996. Roberts, Jeremy. Oskar Schindler: Righteous Gentile. New York: Rosen Publishing Group, 2000. Thompson, Bruce, ed. 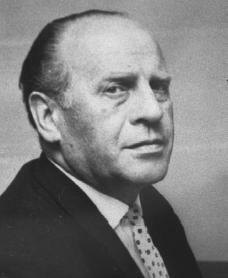 Oskar Schindler. San Diego: Greenhaven Press, 2002. I love the fact that Schindler was trying to help the jews and other humans involved in the holocaust. BLESS you Schindler!! This article is very interesting. I greatly appreciate everything that Schindler has done, and we will always remember him. I identify with Schindler. The man is precious. GOD Bless you Schindler. Oskar Schindler is truly an amazing man. When we learned about him in history and watched the movie, I couldn't believe such a brave man actually existed! He is truly one of the greatest heroes of all time. Could you please tell me where Oskar Schindler's final burial place is? I have heard that his remains were removed from Israel and taken back to a cemetery near one of the concentration camps in Germany. God Bless you Oskar Schindler. I am not a JEW but I would kiss thier feet after everthing they have gone through to show how much love I have for them. Jesus be with us all. Everyone should know how wonderful Oskar Schindler was. What a shame there were and are not more people in positions of power and influence showing the wonderful humanitarian attitude of Oskar Schlindler. If there were, the refugees all around the world might have some sort of chance of being accepted for what they are, desperate, frightened people attempting to rebuild their lives. He was also an alcoholic, had two illegitimate children, a year after he was married, and left his wife stranded in Argentina. You would never think that someone like that would have the compassion to save over 1000 people at a huge risk to his own life. GOD BLESS YOU OSKAR SCHINDLER! Schindler was an extraordinary man. He did what he had to do to save the 1200 jews he saved. another extraordinary man who saved thousands more was Raoul Wallenberg who saved nearly 100,000 Jews. They both deserve their place on the Tree of Righteous. God bless your soul Oskar Schindler. Your bravery and determination in times of horrific injustice is wonderful. More people should definitely know about the sacrifices that Oskar Schindler was determined to take even for people that he barely knew. The courageousness and loyalty that Oskar Schindler showed was truly wonderful and everybody should know so. "He who saves one life, saves the world entire. "- The message on the ring given to Oskar Schindler by the Jewish that he so bravely saved. I'm curious to know more about his children. Where are they today? Did they live with him? Schindler was a good man did what he can for the jews and sacerficed his life to makeing sure that each jew was well taken care of. Great Man! A true smart Hero! He is a true inspiration! Btw Im in 2019!! Who wrote this article? I need it for a source. Thanks!